Spacious One Pager that features some impressive slideshow effects with slide-in content while fading in backgrounds. 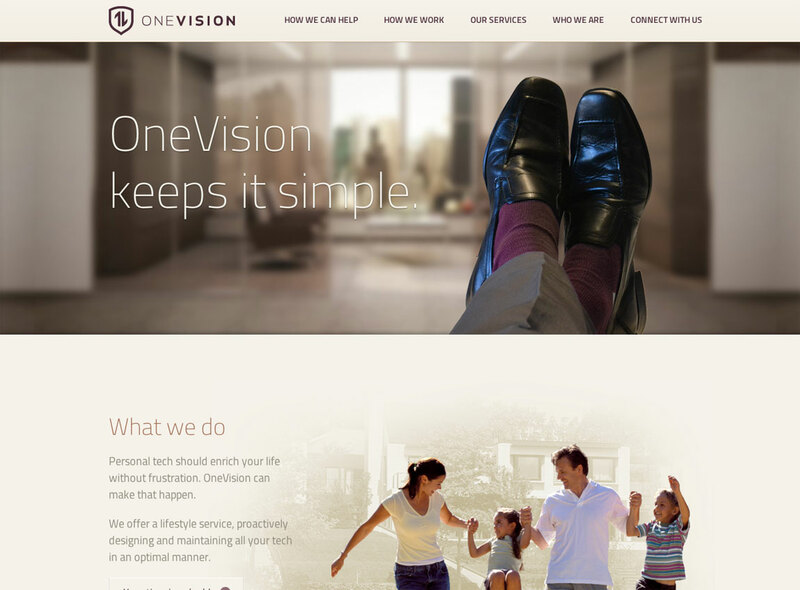 OneVision was built by Fresh Tilled Soil to be simple but sophisticated. It's a long, 1-page site with 5 primary sections that can be navigated by scrolling or clicking from the menu. The site features some very subtle transitions, animations and parallax scrolling to add depth and dimension to it. Many of the sections also include detailed panes that can be used to learn more about any section, or for example, to read more about someone's biography. The form in the bottom section, Connect With Us, also uses a Mad-Libs approach making it feel a little more fun and interactive. Fresh Tilled Soil (http://www.freshtilledsoil.com/) is a team of designers, coders and UX experts that helps entrepreneurs and businesses create remarkable user experiences for web and mobile applications through consulting, training, and events. Since 2005 we've helped 300+ clients including General Electric, Microsoft, MIT, Harvard, TEDx, Time Warner Cable, Walgreens, Hubspot among many others.